I picked my daughter up at the bus depot today and we stopped at our favorite Koren restaurant for lunch on the way home. Tomorrow one of my brothers and his wife will be arriving and my dad will be joining us for Thanksgiving, as well. My husband is a fabulous cook and he is taking care of the turkey, stuffing and a rice dish. My daughter and I will make the pie and veggies, plus I made some cranberry bread the day before. But right now there is kind of a quiet break in the hub-bub and I wanted to take a moment to say thank you for following me on my blog and over at Art Jewelry Elements, as well. I am very thankful for every reader, for your comments and your thoughtfulness. People from all over the world read this blog, but if you’re from the US, then I want to wish you a very Happy Thanksgiving this weekend. And no matter where you hale from, I hope you feel joy and gratitude for the goodness in life. Although the sale in my 2 online shops starts on Thursday, I hope that most of my US readers will get to spend most of Thursday with family and/or friends. I am offering 20% off in both of my shops. This is the best sale of the year, so if you’ve been eying something special, now’s the time to nab it. I have a large local show the first weekend in December, a certainly some of the jewelry in my shops will be headed to new homes that weekend. But you can pick up gifts for yourself or others, now, while the shops are full and save 20% too! 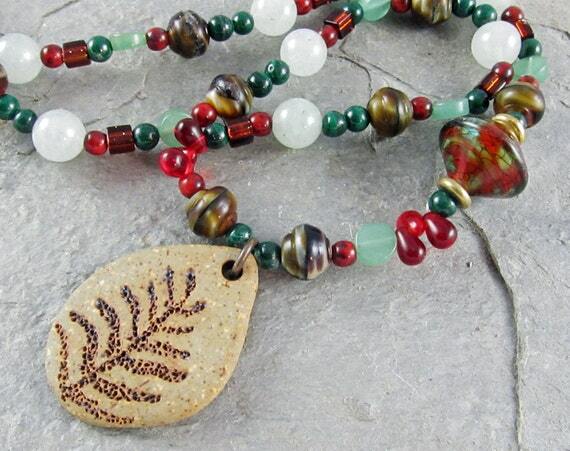 Here are the links to my Etsy and ArtFire shops. 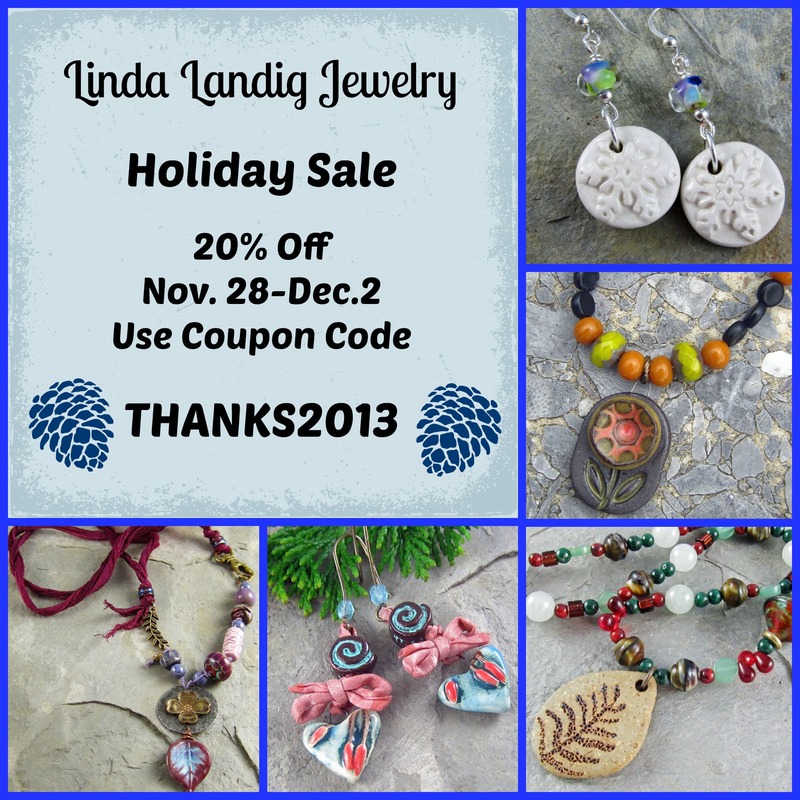 Just use the coupon code THANKS2013 at check out. This entry was posted in Jewelry and tagged Art jewelry, Black Friday, bracelets, Christmas, Cyber Monday, earrings, gifts, gifts for women, handmade, handmade gifts, holidays, jewelry, necklaces, one of a kind jewelry, presents, Small Business Saturday, stocking stuffers, Thanksgiving, unique gifts by Linda Landig. Bookmark the permalink. Happy Thanksgiving to you and your family. How nice that your hubby does some of the cooking. For the first time in our married life our two oldest kids will not be with us as they recently moved out of state. Kind of sad for me but I am so proud that they are striking out on their own. On the upside they will both be home for the days before Christmas providing the weather cooperates. Blessings to you today and always.